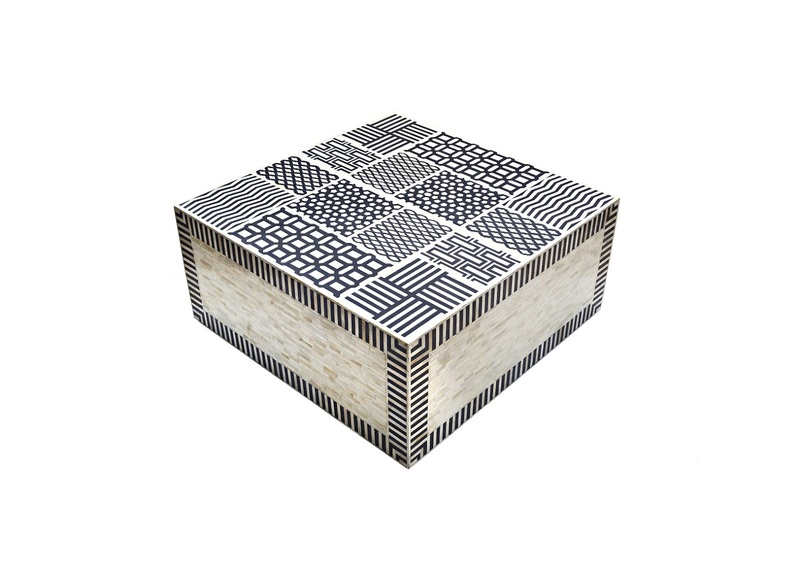 Description: Make a geometric statement with our Bone inlay center table. 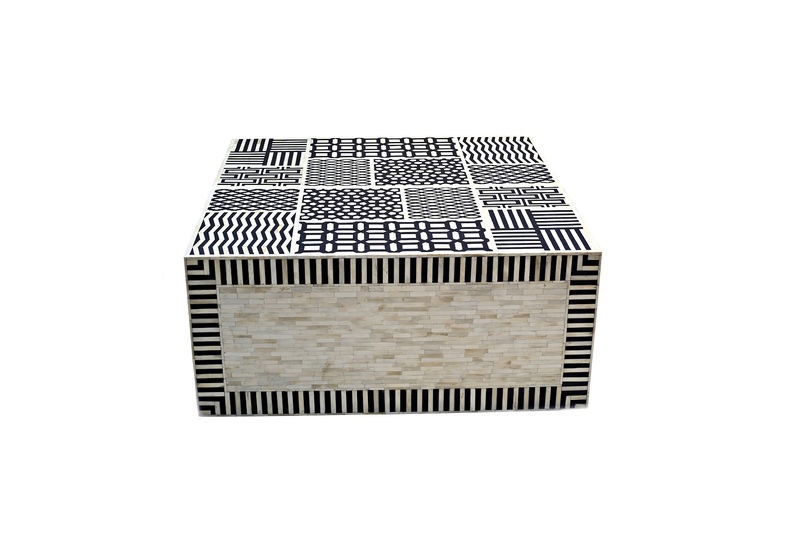 Featuring seven scaled versions of the graphic pattern, this handcrafted gem is a bold way to work. It’s part of our collection—a line that blends the best with luxe materials, refined finishes and impeccable details.Each piece is made by hand by artisans and is unique.